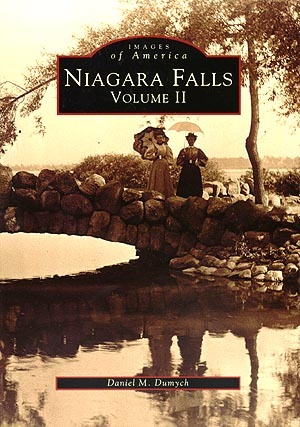 Niagara Falls' impressive rise from a tiny tourist town to a booming industrial city - and nearly back again - is vividly recounted in this pictorial history presented by Arcadia Publishing. Author Daniel M. Dumych has compiled a treasure trove of images and facts that tell a fascinating story of a city that became a revolutionary source of hydroelectricity. The safari includes a jaunt down Falls Street during the "old days," and includes chapters that focus on the Niagara Reservation, the Village of LaSalle and the Niagara Power Project. This follow-up volume to Dumych's popular original work -- Niagara Falls: Images of America Series -- includes more than 200 photographs.